Treat Week continues with this sweet & spicy holiday "how to"... (if you missed yesterday's post, you can check it out here). When the temperature drops and it begins to snow, I immediately turn to my hot tea. Chai tea to be exact. It makes me feel so warm and fuzzy on the inside. I love how it smells. When I stumbled across this recipe for homemade chai tea mix, I knew I had to try it! 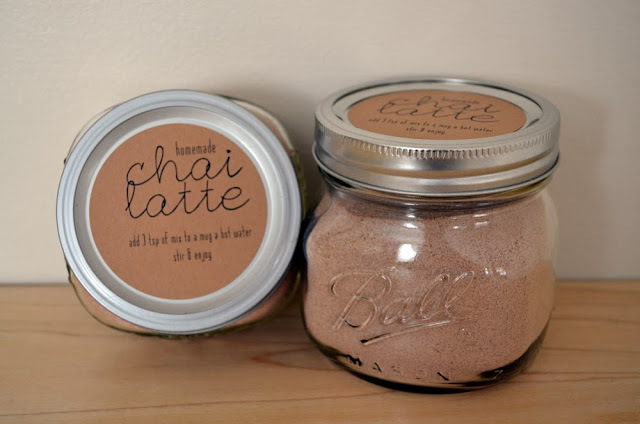 To package the chai tea mix for gifts I simply bought a few ball jars at Target & printed out my own homemade labels using the 2.5" round Avery kraft paper labels. They are the best. As the label states, you add 3 tsp of mix into a mug of water. You can also add milk (to taste). 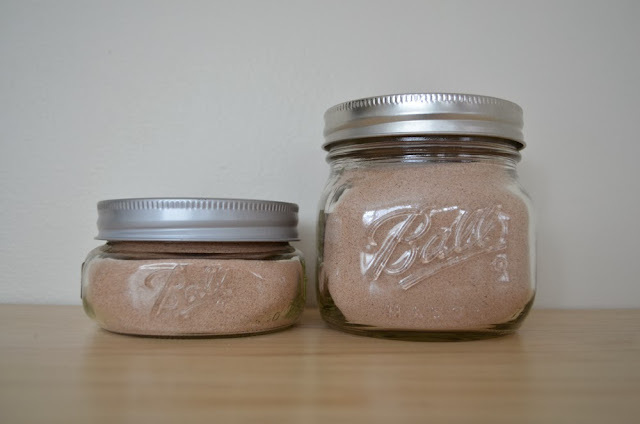 These little jars of chai mix make the perfect gift for family, friends or coworkers. Enjoy! If you'd like to make your own chai, you can find the recipe here. If you'd like to print out some of my labels, you can download the file here. 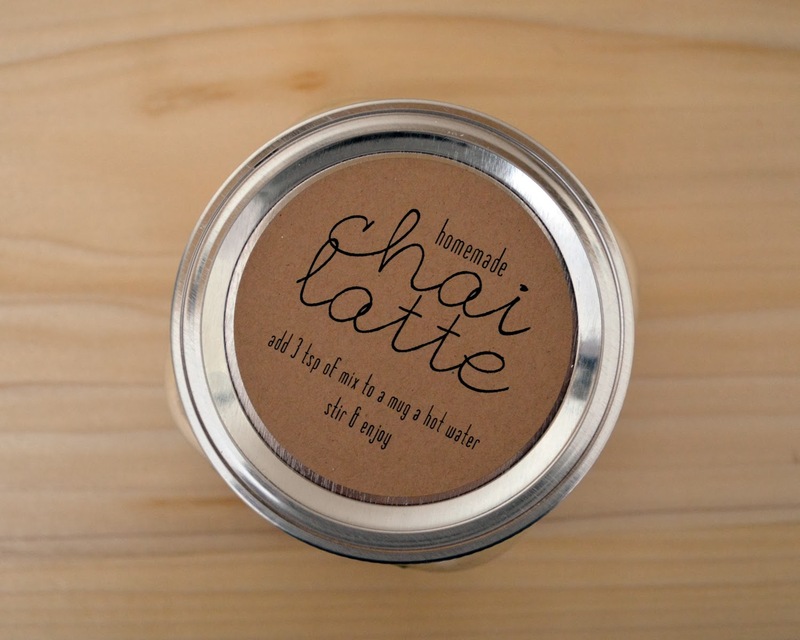 i love chai tea but ive never thought of making it homemade! yum. Thank you Shannon for linking up to my recipe. I love the labels that you made! super cute, totally going to make this for Kim for xmas! Really Shannon. My husband is a huge lover of chai tea. I have to try that recipe! oh i love chai!!!! fabulous idea!!! could you sub 10x sugar for the sugar and then not grind? what really needs to be ground other than the sugar? everything else is a powder, correct? just wondering if you knew. You know... I'm not sure! When I first put all of the ingredients together and stirred and shook it the spices didn't blend very well. A couple seconds in the food processor and everything was combined really well. I would still suggest doing this. Hi! I'm Shannon. Thanks for stopping by my little blog. I'm a full time interior designer who loves anything crafty and creative. My days are filled with helping others bring beauty into their homes and I try to squeeze in some time for myself as I go. I hope you'll find some inspiration here - from diy projects and crafts to the occasional recipe that actually went right.